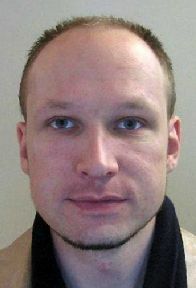 Anders Behring Breivik, who killed 77 people in twin attacks in Norway last July, may never go to jail after psychiatrists ruled him criminally insane. Instead, the killer could spend the rest of his life in a mental institution, prosecutor Inga Bejer Engh told reporters in Oslo, reports The Times of India Tuesday. "If the final conclusion is that Breivik is insane, we will request that the court in the upcoming legal proceedings pass sentence by which Breivik is subjected to compulsory mental health care," Bejer Engh said.